Several boater advocacy groups are in opposition with the Environmental Protection Agency’s proposal to begin offering E15 (fuel with 15 percent ethanol) at more fueling stations in 2017. Advocacy groups urge boaters to campaign against high blends to prevent misfueling. WASHINGTON, D.C. — Our fuel supply could feature a little more ethanol in 2017 if the Environmental Protection Agency (EPA) gains enough support for its plans to increase its Renewable Volume Obligations (RVO) next year as part of the Renewable Fuel Standard (RFS). The plan could result in more fueling stations offering E15 (fuel with 15 percent ethanol). Recreational boating advocacy groups such as BoatUS say boaters are prohibited from using E15 in their vessels as the fuel blend is harmful to boat engines. EPA officials announced on May 31 it seeks public comment on a proposal to supply 14.4 billion gallons of ethanol – and 18.8 billion gallons of total biodiesel fuel – in 2017. 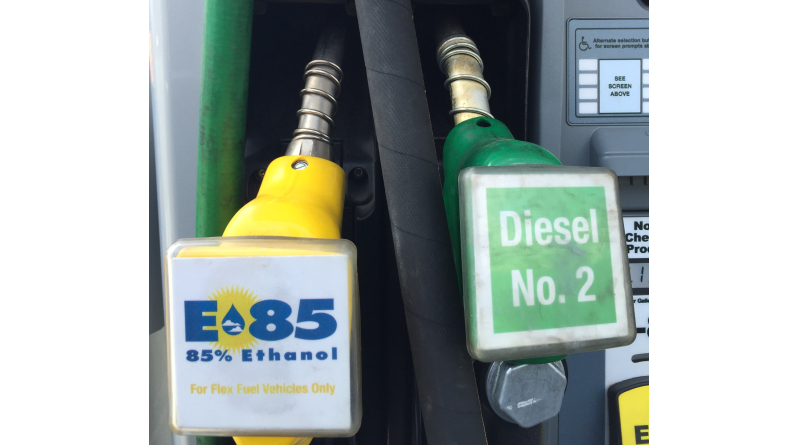 Overall the EPA seeks to increase the amount of ethanol in our fuel supply, with efforts to bring E15 and E85 (fuel blend with 85 percent ethanol) to as many consumers as possible. More increases in the ethanol supply could be in the works depending upon market reactions to the government’s established standards. The Federal Register notice said the 2017 fuel supply could feature as much as 800 million gallons of E15 gasoline. A U.S. Department of Agriculture (USDA) grant program – Biofuels Infrastructure Partnership – has apparently opened the door to more fuel pumps offering E15 gasoline. “Combined with previously existing retail stations registered to offer E15 and ongoing efforts to expand E15 offerings at retail apart from USDA’s program, it is possible that 1,700 stations could offer E15 by 2017,” EPA staff stated. More stations offering E15 fuel means would result in a significant jump in use of the blend over E10 – which could mean bad news for recreational boaters. On June 6 the National Marine Manufacturers Association (NMMA) urged recreational boaters to challenge the EPA proposal. Boating United urged boaters to “stand up and take action” against the EPA proposal. The Boating United campaign was posted on votervoice.net and provided two form letters for boaters to share with legislators and regulators to support House Resolution 5180 (H.R. 5180) and oppose the EPA proposal. H.R. 5180 was introduced on the House of Representatives floor on May 10 by Rep. Bill Flores (R-Tex) and referred to the Energy and Power Subcommittee three days later. If approved the bill would help keep E15 off the market and require all fuels to be within the E10 blend wall. Public comment on the EPA’s proposed rule will be accepted through July 11.